A bicycle helmet is a basic yet one of the most important safety accessories to own as a cyclist. With an increase in motorists on our busy roads the potential to be in an accident situation can be quite high and your safety is of utmost importance in these situations. Apart from safety, helmets offer a ton of other benefits. 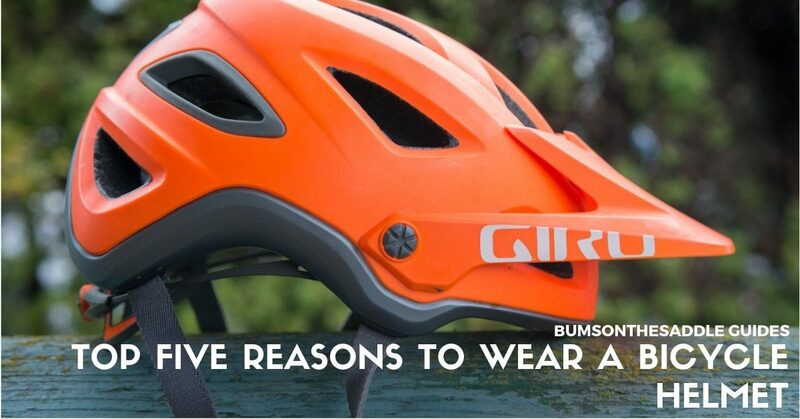 Here are our top five reasons to wear a bicycle helmet while riding your bicycle. The head is the most important part of the human body and needs to be taken care of. Good helmets conform to stringent global testing standards and come with safety certificates which ensure your safety in case of a fall. SnellandM.I.P.Sare common safety standards to keep an eye out on. A fall could happen at any speeds and it’s critical that you wear a helmet at all times. Even if you’re just riding around the neighborhood! Bicycle helmets increase your visibility in multiple ways. They come in bright colors or fluorescent colors which make the rider highly visible on road. Inbuilt reflectivity ensures you’re visible in the dark and few helmets have flashing L.E.D lights which are an added advantage in low light. Helmets protect you from harsh weather by cutting direct sunlight from scorching the riders head. Helmets are also designed to help speed up sweat evaporation and work to keep the head cool. Managing head heat is an extremely important aspect of a well designed and well-ventilated helmet – especially when you’re riding long distances or if you’re putting in effort like when you’re climbing an elevation or in a race/performance situation. Wearing a helmet definitely earns you respect from the community. People appreciate the fact that you ride safe! Make wearing a helmet cool and help educate and influence the newbies in this awesome sport! You could potentially save someone’s life. Most group rides make it mandatory to wear a helmet to ride with them. 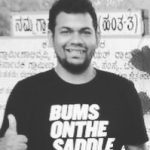 Group rides are a great way to connect with riders in your locality, explore new routes and generally hang out with other like-minded folks. Wearing a certified quality helmet is one of the most important aspects of cycling to ensure you’re safe. It’s uber important to wear a helmet even at low speeds as you never know when an unfortunate fall can happen. Apart from safety, helmets offer a host of other benefits like increased visibility, community respect and protecting your head from the elements.